I took my daughter to her bestie's birthday party this past weekend. The event was held at a super fun indoor play center - a place we visit frequently when the weather is less than stellar to release some pent up energy that somehow and for some reason only seems to occur in kids. Especially mine. Anyway, there were about 3 or 4 other birthday parties in motion at the same time, so as you can imagine, a space that is very large when empty can get pretty busy and confined the more bodies you cram into it. This, however, is not my issue. My issue is the mothers of the children that are invited to these parties. Now, let me just say that I'm not sitting here saying I am a perfect Mom or Mother of the Year - not by a long shot and far from it, but what the hello operator is wrong with some of these women? And just to clarify, I'm not talking about any of the mothers at the party we were invited to. They were all lovely. What got my knickers in a twist this particular day was four mothers standing around, pointing out random children's outfits and how awful they were! As my mouth was on its way down to the ground, I was like, 'Did I hear what I think I just heard?' Are you kidding me? Your have to stoop so low and talk about a child? Yes, I understand that we are all entitled to our opinions, but there are just some topics one doesn't discuss - especially in public. Let's not even talk about the hurt the Mom of one of those children would have felt had she been privy to that conversation. It took all my wits not to lose the plot and whack them upside the head with a double issue of Better Homes and Gardens that was sitting on the table next to me. What's even more remarkable was as soon as one of them left the group, to use what I assume was the facilities, the three other women actually started talking about her! When did I step into an episode of Real Housewives of the Sad and Pathetic? As if the universe heard me mentally complaining, a few minutes later, no word of a lie, one of them got rammed in the back of the leg by a kids Cozy Coupe car, lost her balance, and spilled her coffee on the woman next to her. Seriously, you can't make crap up like this. It was FABULOUS. I don't think I ever laughed so hard at someone else's misfortune. Too bad she wasn't wearing all white, but the light pink top was good enough for me. Moral of the story: Make cookies, not gossip. No one gets emotionally hurt that way. In a medium bowl, whisk flour, salt, and baking soda together. In a separate bowl, using a mixer, combine butter, brown sugar, and granulated sugar until light and fluffy. 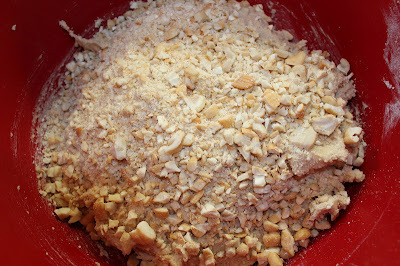 Add eggs and vanilla and mix until combined. 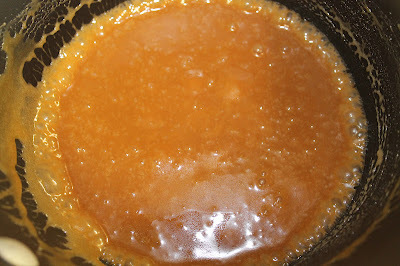 Slowly add flour mixture to butter mixture and blend until incorporated. 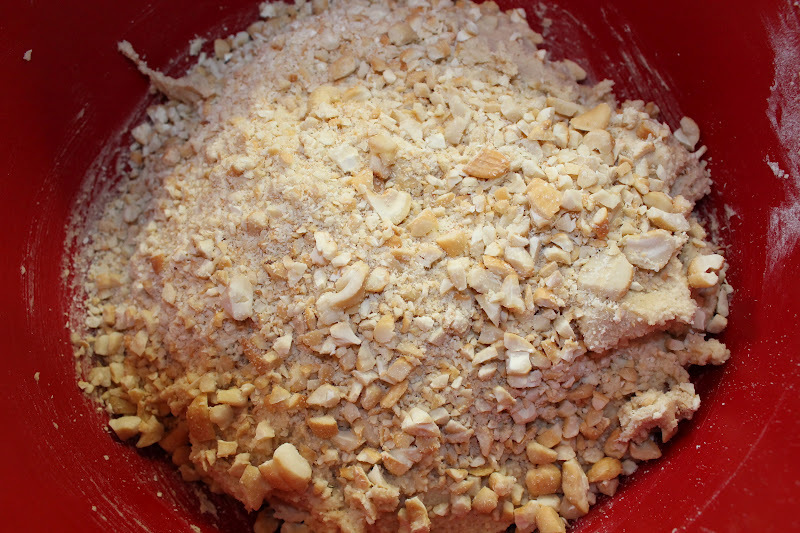 Add cashews and stir with wooden spoon. Wrap dough in plastic wrap and chill for about an hour in refrigerator. Preheat oven to 350ºF. Line baking sheet with silicone mats or parchment paper. 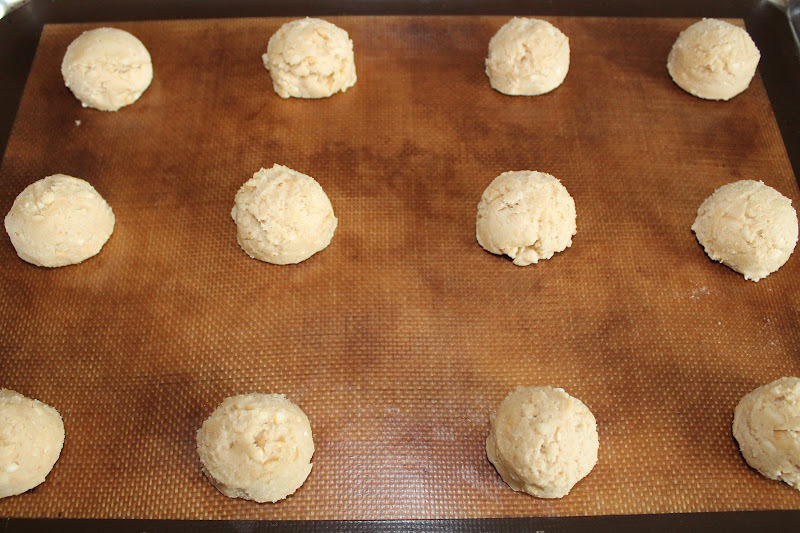 Using a medium ice cream scoop with a retractable mechanism, scoop out dough and place on prepared baking sheets. 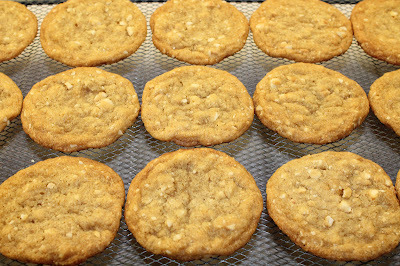 Bake cookies 10-12 minutes, or until the edges are golden brown. Mine took 11 minutes. Remove cookies from the oven and allow to cool on the baking sheets for several minutes before transferring to a wire rack. Place caramels and heavy cream in a non-stick saucepan on stove over medium heat; stir frequently. 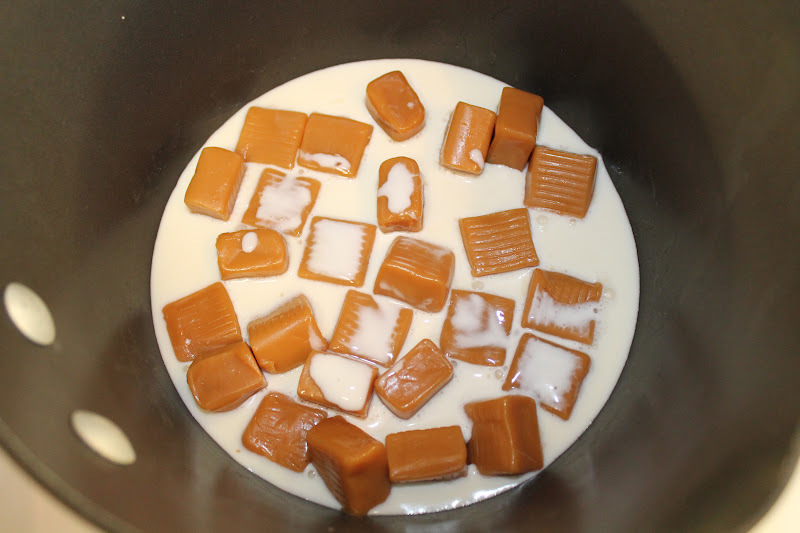 Once caramel starts to bubble, remove from heat, continuing to stir until cubes are completely melted. 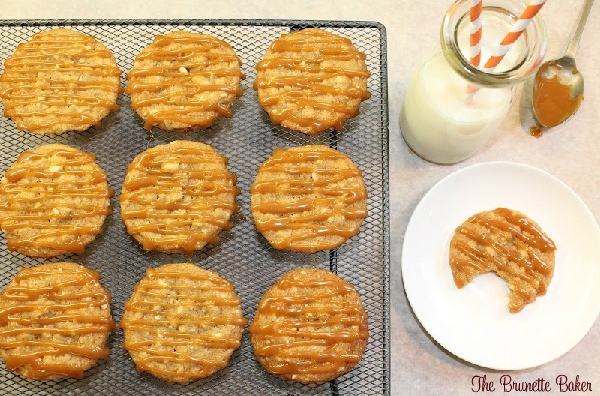 Using a large spoon, drizzle over cookies.